Have you seen ads for gold coins on Craigslist? This online classified ad site has become a popular way to buy and sell everything from TVs to furnishings to antiques. It’s not uncommon to see precious metals such as American Gold Eagles being offered for sale. Should you buy gold or silver through Craigslist? It’s easy to see the draw of Craigslist: it’s a simple exchange between you and the seller, with no middle-man. However, this fact also means that the risk is higher than when using other methods to purchase precious metals. Unfortunately, Craigslist has become a breeding ground for scammers and dishonest sellers. If you are trying to purchase gold coins, you can very easily get ripped off, especially if you are new to investing in precious metals and aren’t sure what to look for. Watch out for deals that seem too good to be true. Pay attention to the spot price of gold, and look up the current market value of the coin. If the price the seller is advertising is significantly lower than this, be wary. Sometimes, sellers will post a price just to catch your attention, with no intention of selling for that price. Other times, you will be directed to purchase the coin in some other method other than meeting locally and dealing face-to-face. You may assume that it’s safer to send them the money via cashier’s check or PayPal, but in fact it’s a scam, and you will receive nothing in exchange for the money you’ve sent. If you do decide to buy gold from a Craigslist seller, be prepared. Be sure you know exactly what the coin should look like, how large it should be, and what it should weigh. Bring your scale and calipers. If the diameter and weight do not match the official specs for the coin, do not purchase it. Know what the coin should come with. Many gold coins come in government packaging or include a COA. If the coin being offered for sale does not, it may be counterfeit. Craigslist is largely anonymous. Unless the seller chooses to reveal their real name, Craigslist buyers have no way to judge the seller’s reputation. There is no way to verify whether the seller is an established precious metal dealer, an investor looking to sell off part of their collection, or someone who doesn’t know much about the coin they have. Because of this, it is especially important to pay attention to what you’re purchasing and inspect it carefully. Trust your gut – if something feels ‘off,’ back out of the deal. 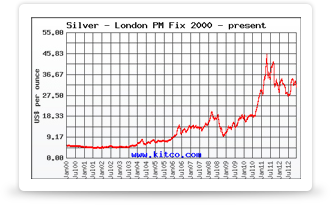 Finally, there is the risk inherent with carrying a large amount of cash to buy precious metals. Unfortunately, there have been stories in the news of people being robbed after agreeing to meet up with someone who advertised on Craigslist. Only deal with Craigslist sellers in a safe and secure location. Some people arrange to meet in the lobby of a major bank. Others meet at a police station. Always meet in a public place where you feel safe.